The first quarter of 2019 has been very eventful, and much busier than I had anticipated! I haven’t had a single week without a custom order to fill since the start of the year. Here are some of my favorite custom pieces for 2019 so far. Boar’s tooth, Sterling silver, and garnet. Two different Preseli Bluestone orders for March. Amethyst, black spinel, white topaz, and Sterling silver. In other pretty awesome news, those of you who have been asking if I sell at any retail shops in Charlotte now have a place to go! 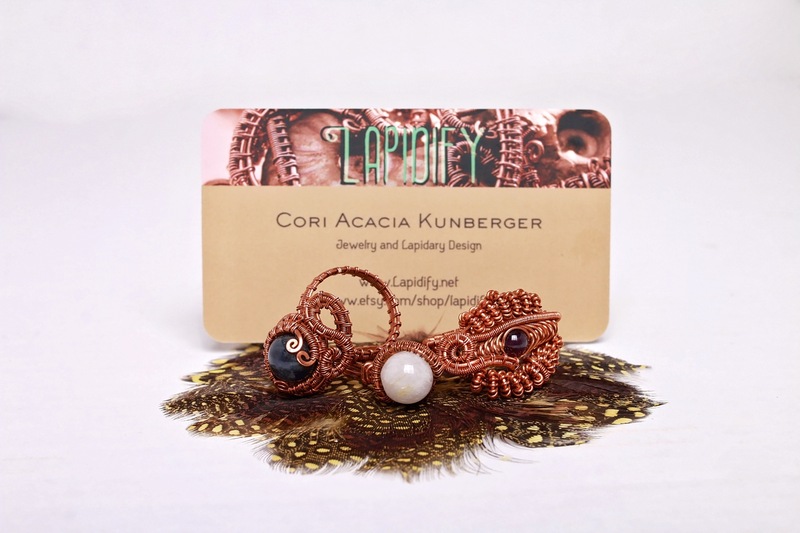 Lapidify jewelry can now be found for sale at Sanctuary Imports. The shop has a welcoming, warm vibe and the staff were receptive and helpful when I went in. It’s a really lovely space full of crystals, beautiful imported furniture, tarot decks, statuary, herbs, and jewelry. They really seem to care about supporting local artists and other small businesses, so I’d suggest checking them out if you haven’t been. If you’re in the Rock Hill, SC area you can still check out my display at Raven Moon Emporium. I’ve recently restocked with about 20 pairs semi-precious gemstone stud earrings and lots of other goodies. I’ve also left a few pairs of adjustable Mystic’s rings for people to try on in the ring case. If you’re looking for anything in particular, just ask Raven’s super friendly staff to direct you. This Saturday, March 30th, I’ll be vending with Queen Flea behind Amelie’s in NoDa. It’s a great opportunity to come talk to me in person about custom orders, or to just come geek out with me about metalsmithing and rocks while you poke my shiny things. The market runs from 10am to 5pm. If you’re looking for the Lapidify booth, just look for the woman who is wrestling what appears to be an octopus made of wire. That’s probably me. A handful of the Mystic’s rings that I left at Sanctuary Imports last month. I have decided to finally dip my toes into teaching. 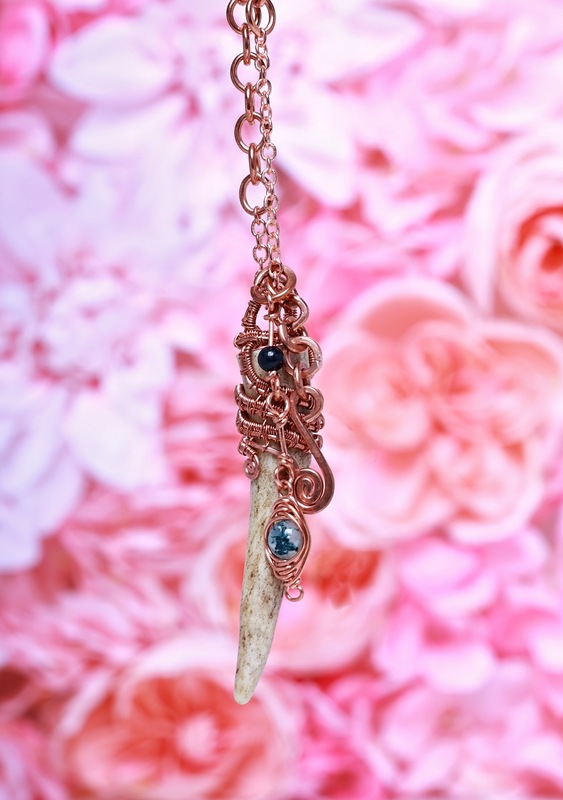 Yes, I know I went on a rant a year and a half ago about how I wouldn’t teach wire wrapping. After some not-so-subtle urging and encouragement from my friends/teachers (*cough Janet and Jason cough*), I have re-evaluated that position. 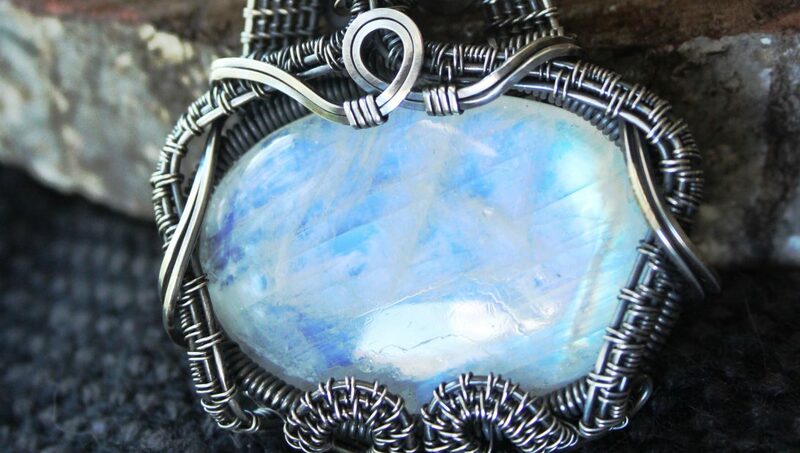 It looks like I will be teaching an introduction to wire wrapping class next month at Sanctuary Imports. I’ll post more details about it when the plans are solidified, so be sure to follow me on Instagram and Facebook to stay in the loop! I spent last weekend hanging out in the mountains outside of Asheville. It was really peaceful, and one of the best parts was that there was no cell phone signal. Forced to ignore work and social media, I took in the sights. Sights included this fantastically creepy abandoned bus. 10/10, would stare at again. After emerging from the woods and hitting civilization, my phone began to explode with Etsy and Facebook notifications. At first I was confused and alarmed, and then I started googling my business name to see what exactly was going on. Last month I gave a brief email interview to Vanessa Infanzon of the Charlotte Observer, and it was published on Sunday! You can read the online version of the article by clicking here. The last of the pieces featured in the article, “Heart of the Iron Wood,” packaged up to be shipped out earlier today. As of writing this, two days after the paper was published, I have sold every item I had featured in the article. I am totally blown away and grateful. Thank you so much for supporting your local artists, Charlotte. You can find more great local artists and designers by reading Vanessa’s “CLT Made” articles in the Style section of the Charlotte Observer or by checking out the CLT Made Pinterest page. Here’s a quick peek at the things I’ve been making to take to FSG. Keep your eyes peeled on the Etsy page next week: I’ll be doing a shop update and adding about a dozen items when I’m back in town. Until then, the shop will be in vacation mode. See you guys in Maryland! One of the things I really appreciate in the art world is a good photographer. It takes talent to work with light, scenery, and equipment. It takes just as much interpersonal talent to know how to work with models- putting them at ease during the shoot, placing them in the best poses, and giving feedback in ways that makes them both responsive and comfortable. The results can be really breathtaking. So when April of April Eileen Photography contacted me, I was pretty excited. April is a photographer based out of Virginia, and her subjects range from fashion models, to families, to pet rats. All of her photos are gorgeous. If you’ve never seen her art, it’s worth checking out! April and I will be collaborating in the coming months. 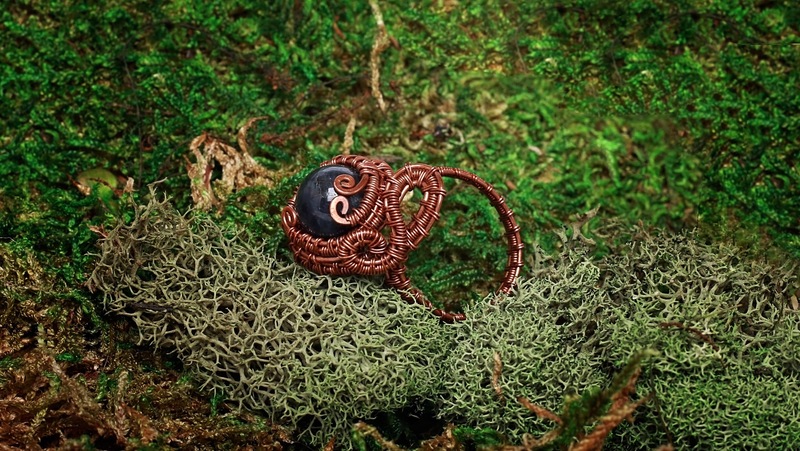 I’m loaning jewelry pieces to her for her shoots, and she’s taking some awesome photos. I don’t know about you guys, but I’m stoked. I can’t wait to see more! The last time I was in college it was sort of a horrific experience. I was in graduate school and I constantly felt on the brink of imploding. That was three years ago. I’ve avoided any sort of academic pursuit like the plague since. Sure I took some lapidary lessons, but that was off campus and in a weird, smoke filled warehouse. It felt as far from academia as possible. Lately I’ve been feeling a strange pull to get back to school. There’s this nagging reminder that I used to love learning (its why I tried grad school in the first place). I especially loved my art courses in undergrad, which had nothing to do with my psychology degree and everything to do with giving me a creative outlet in order to stay sane. My friends Ali and Mary started prodding me about six months ago to step out of my comfort zone and try a few courses, and I had some extra money saved for business investments this month. So when I saw that my local community college was offering an introductory metalsmithing and jewelry fabrication class, I took the leap and signed up. I’ve attended two class sessions so far. My anxiety each day has been through the roof leading up to the class, but the moment I get there I’m totally fine. The classroom is a big, open studio with a ton of jewelers benches, tools, and anvils. I recognize a couple classmates as fellow local vendors, and everyone is there to learn at their own pace. Its exciting and fun and a little intimidating, but I’m okay with that. I know better than to think that I’ll master any of these techniques in 8 weeks, but they’re things I’m curious about and want to get a basic grasp on. I started sawing and piercing for the first time tonight, and I’ve decided to keep a running count of how many saw blades I’ve broken for the semester (so far I’m at two). I’ll post more updates as I learn new skills and make shiny things. Thank you guys so much for your support- without you I wouldn’t have had the money to take this class! While I was vending at Piedmont Pagan Pride Day this past weekend it became apparent that I needed to make a quick update post for you guys. 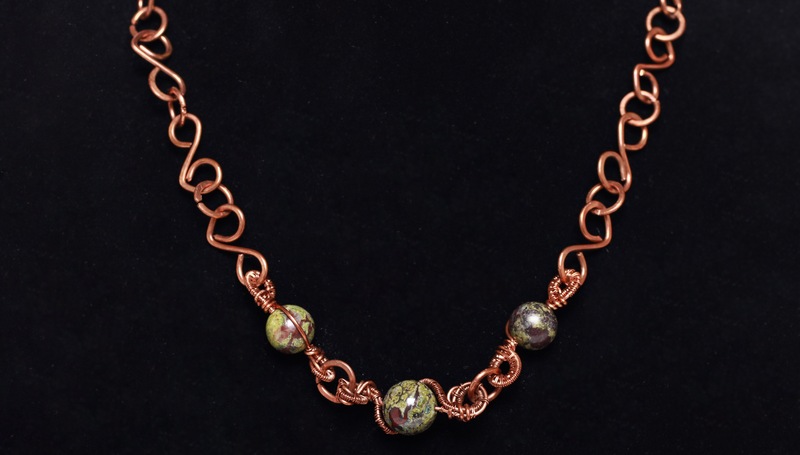 Between the lapidary work, custom orders, vendor work and travel, the online shop, finances, and just making new jewelry day to day, Lapdify has become a full time job. For that reason I left my retail job in July and am now entirely self-employed. It’s scary at times, but I feel like it was the best decision for me and for my business. I’m currently not associated with any local retailers or “brick and mortar shops.” That means that the only way to buy items I have made are to see me in person at shows or fairs, contact me online, or to buy through my Etsy Shop. If this changes in the future, I’ll let you know! Contact me directly for custom orders. Any custom order requests taken to stores where I used to have items for sale won’t be sent to me, so shoot me an email or a message on etsy or facebook if you’d like me to make a piece for you! I will be posting a lot more items on Etsy. I’ll probably be posting things in batches as items get made. I’ll make announcements on facebook as that happens. If you see an item posted on Facebook or Instagram and it’s not a custom order, you can buy it. Even if I haven’t posted it to Etsy, you can buy jewelry I post to the Facebook page or on Instagram! Etsy charges fees and percentages for each item I post and sell, so I do not put every item in my shop. Instead, we can do an exchange over Paypal or with cash if you are local. You guys get to save your money. I was having to raise my prices about 50% when working with retailers. Without the middle man, I’m able to charge considerably less. And that’s about it! In other news, Lapidify attended the Enchanted Chalice Renaissance Festival and PPD this month, and I had fantastic time at both. I’ve also started working on a collaborative project with Gwen from Frog Crossin’ Pottery. We’re making aromatherapy pendants- she makes the clay body of the pieces and I add stones and metal to them. You can see a few of the ones I have available in the shop by clicking here! Lapidify at the Enchanted Chalice Renaissance Festival in Greenville, SC. If you’ve been following the Facebook page, then you already know the good news: After two years of saving, I’ve finally been able to get a cabbing machine! I decided to take the plunge and get a 6 inch Cabking rather than less expensive model I had been looking at. It is really, really nice. Pictured: Me and my friends in awe of the Cabking. So, what does this mean for Lapidify? Well, a couple things. First, it means that I’ll be back to cutting and polishing my own stones again for the first time in nearly two years. I’ll get to make unique shapes for pieces ahead of time rather than seeking out pre-cut cabochons and tumbled stones. I’ll get to conceive my pieces from start to finish now, and really celebrate each rock individually! Secondly, it means that I can start taking some commissions to polish people’s stones. I have never cut garnets, sapphires, diamonds, or rubies and I plan on not taking those until I’ve had more practice. However, I can cut jaspers, quartz (rose quartz, amethyst, citrine, aventurine), chalcedony, agates, and calcites all day. So let me know if you’d like me to work on your stones! March will be a busy month for me! You’ll be able to find the Lapidify booth at two different shows, two weekends in a row. The first show is the Franklin Jewelry and Accessory Show located in Franklin, TN on March 12th. I’m really excited about this because it will be the first time I’ve ever vended in my hometown! The show will only include artists displaying handmade jewelry and accessories- nothing brought and sold from another source. Admission is free for everyone. You can find out more information about the show at http://www.wcparksandrec.com. The second show is Randy’s County Wide Antique and Yard Sale on March 19th and 20th. It will be held at the Rowan County Fairgrounds in Salisbury, NC. Parking will be free, and admission for adults is only $1. There should be a huge range of items at this show to look at, and I will be sharing my booth with two other talented artists and close friends. Come check us out! Shop Update and Cyber Monday Sale! Lapidify will be having a sale through Monday, 11/30! Use the code “CYBER15” at checkout to receive 15% off your entire purchase of shiny things. I’m excited to report that I’ve uploaded a bunch of beautiful new items to the Etsy Shop! I’ll continue doing so over the next 48 hours or so as I have the opportunity to photograph the pieces. A final note: I’ve taken a handful of holiday commissions so far, but have room for a few more. Let me know if I can make a special piece for you or a loved one.